Hey, everyone, this is Dr. Joe Simon from the Private Practice Business Academy. On this episode we have a great interview lined up for you with Dr. Lisa Holland from Belly Guru, LLC, and she has so many things going for her right now, and I’m going to be honest, this is the second interview with Lisa, because we lost the first interview after the server crashed. So, putting the good karma out there, hopefully it does not happen again, and we’ve gotten some great responses after the first interview, and guys, I know, I got the emails, and everyone’s been asking me, what happened to that interview? That is, I have no idea, to tell you the honest truth. I am not a tech wizard by any means, guys, I’m not at all. But, again, Lisa, thank you so much for jumping on the call with us once again. And, do me a favor, introduce yourself to the community, and let them know all about you. Lisa: Okay, great, thank you very much. I’m glad that that first interview had some good response. My name is Lisa Holland, I’m a doctor of physical therapy. I originally was an athletic trainer, and went on to work in orthopedics for about a decade or so, and started practicing yoga on my own, a little bit here and there. Actually, I used it to rehabilitate from a back injury that I suffered from during pregnancy. I was always interested. And then I just more and more started bringing it into some of my treatment protocols, and after I became a mom the second time around, and we moved down to North Carolina, I really kind of started emphasizing integrating it into my programming on more of a full time basis, and opened up a small studio, and was working part time in the hospital, and finally cut the cord in August of 2011, and have really integrated, mainly working through lifestyle medicine, because I really believe that’s how we’re going to get people with chronic pains, and even just with an acute disability better when we’re looking at the whole picture of everything, from even like a bio- psychosocial emotional condition. And now I run a yoga therapy studio, and am moving really into helping other healthcare providers do similar things in their practice. Basically making everybody a little yogi in mindsets, with their own self care, which we desperately need, feeling with today’s times, and then them being able to hopefully bring that into their practices, as well as clients. Joe: Absolutely amazing, Lisa. You brought up a great point, and I want to go back to that. You basically cut the cord from working for the hospital. Only in August of 2011. You’ve been practicing for over 10 years, and in August of 2011 is when you basically changed your mind, and said, hey, I can do this myself. Guide us through those first couple of days when you decide, hey, I’m going to do this. Take us back to that, and let’s talk about that a little bit, because we have a lot of people that are sitting on the fence right now, that want to connect with that story of how you basically cut the cord, and how you moved on from there. Lisa: Yeah, like I said, I moved from New York down to North Carolina, and actually opened up a studio, which is an integrative small studio, ran a little bit more like a private boutique studio than a physical therapy office. The back end was all physical therapy at the end of 2005. And I did this sort of on a part time basis, just basically trying to just cover my overhead and be everything to everyone, and that was really, really hard. That lasted a year and a half. And then I had to walk away from that, because it was way too much. And then I restarted again about a year later. I started getting calls, I had started originally in pregnancy care and women’s health, specifically, with the pregnancies here, and they started having second babies, and they were looking for me, so I started on a really, really small scale, renting out space, doing one on one, not needing the high overhead, and then just grew from there. And like I said, around 2011, I just realized, like, I really, really, really thought my model of care delivery was a better way to go of getting people better faster. I run cash based, there wasn’t the whole headache. A lot of my work in the hospital, and even in the clinics, was so much of the stress and tiredness of just keeping up the dynamics of insurance mandated care, as opposed to what I could really do, and do this more efficiently, that in 2011, I just said, let’s make this full time.This is no longer my hobby. This is my practice, this is the way that I practice, and I opened up more of an integrated physical therapy private practice, and just kept it sort of small and as soon as I could get the front office, because that’s the biggest, hardest thing, when you’re kind of at that border, and then you have to be responsible for some single person’s salary. When you’re working for yourself, you’re okay, if you don’t pull a paycheck, does that make sense? But then when you have to make sure that somebody else actually does get paid, whether or not you have people, and then it was really moving into those different marketing streams that we don’t normally use as physical therapists, some social media, definitely direct contacts. My primary referral source is no longer physicians. It’s the other people we don’t always think about, massage therapists, personal trainers, the other yoga teachers, instructors, acupuncturists, and things outside the norm of that type of system. And it’s just still, it’s still, I mean, word of mouth, I’d say word of mouth is 95% of my clientele, in terms of clinical care. Joe: Amazing. Amazing how you did that, and it does take a bit of, obviously, bravery, and craziness at the same time, when you really discover that, hey, you’re not longer responsible for just yourself, but another human being that you have to put food on their table, as well. So that is, that happens, I think, to every entrepreneur at one point or another. You said something very amazing, and I wanted to just touch base on that, was you walked away from your first practice when you tried to be everything for everyone. You walked away from it. And when you niched down and went back to, when you restarted again, which was great, you went back to it again, and you niched down this time. You went for the yoga angle, the boutique studio, and that really worked for you, obviously, because you’re doing very well with that. 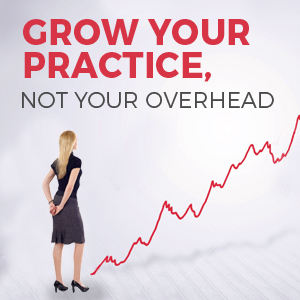 What advice would you give to someone that is leaning more towards that as they may be tired of working on a practice, for obviously, seeing so many patients at the same time, basically trading time for their dollars. What advice would you give somebody that’s just coming out and wants to start their own business? What do you think that if the future Lisa could go back to the past Lisa and tell her, what would you tell her? Lisa: Well, obviously, it’s that entrepreneur spirit. I don’t know how much of that you can really, really learn, but if there’s a yearning for you, and a confidence in yourself and your abilities, that’s obviously the utmost need. You have to be willing, I mean, you work hard doing it the other way. But when you’re working on your own, it’s a different kind of hard. There’s a little bit more of a gratification, because it is whatever you’re producing, you feel like it’s of you. And if I had to go back and talk to that person that walked away that first time, with getting another lease and this and that and paying that all out, is for a little bit of time, you feel like a failure, but all of those are lessons learned, and it actually gave me the confidence to think, you know what, I don’t need all of this. I don’t need all of that equipment and the 20 classes a week, having this whole thing as being a little YMCA or something like that. It’s just me, and having the confidence in myself, and saying, oh my God, that’s so much easier if I don’t have the staff and the kids room and all of this, and finding that to be a stepping stone to being able to give the care that you want to give, which you probably do in the clinic anyway, you probably do in the office anyway, but you feel like you don’t have the time or this and that, and then doing it on a part time basis, maybe taking up a couple people after hours, I run it as a cash based. It makes it very, very easy. You still have to follow your rules, you’re writing your notes and things like that as you would normally, but you’re just doing it a little different way. You break out of that shell of how it has to be, because of the system, and how it can be because of whatever you’re licensed to do. It just feels very natural, and you just go with it. You have to work in different ways, you have to market, you have to go out with people. But that’s what we do anyway, we’re great for that as physical therapists, especially. There’s different disciplines, different ways. I know as physical therapists and as a licensed trainer, it was all about the relationship. Lisa: So, it’s just extending that, maybe, giving care a little bit differently, which we have to do anyway. I mean, all, you even see the hospital systems trying to get on Facebook and things like that. Joe: They are trying, really, very hard to get on Facebook, and trying to show that human side of themselves. Some are doing it very poorly, or some will just create a page, and there’s nothing on the page. So, to the listeners out there, please do not create a page unless you have content on that page. You don’t want people finding you, and there’s nothing on there. Or, make sure that you have a schedule of posting. But Lisa brought up a great point, as well, about as physical therapists, you build that know, like and trust factor, and we have other practitioners that listen to our show as well, and from physicians to dentists, you still build up that trust factor for your patient to come back to you and trust you to do the procedure, or get more advice from you. What platform, Lisa, do you think, is it Facebook, is it blogging, is it Google+? What platform do you think would be the best for someone starting out right now to use? To get that know, like and trust factor out there? Lisa: Well, I think it depends on kind of how you’re approaching your practice. If it’s going to stay very, very clinical, and you just have to be careful, obviously, to some extent with HIPPA and things like that, with how you’re giving advice, and again, it’s your level of comfort with your own confidence and your ability to be an educator, but like for me, I use Twitter, my Twitter is @yogadocnc, and that kind of advertises what I do with yoga and sort of as a medicine, as a lifestyle. And then as they get in, and that can feed off very well onto Facebook, is what people are most comfortable with. I’m not working with a lot of teens and young kids that don’t come through their parents, and I think for my age population in their 30s and 40s, and they’re probably more on Facebook. But I’m actually moving a little bit towards Google+, I think they’re a really great platform. It’s just not as popular, but I think in the future that would be nice. Because it integrates very nicely with making videos on YouTube, and doing things like that. Basically just getting out there, blogging, getting your name out there, because people are Googling doctor, doctor on Google, you know? So, they’re going to ask their next personal trainer, they’re going to ask the wellness advocate that’s on there. Why not have it be with your background? And that’s another thing I didn’t mention before, you have to be good at what you do. You have to be even better at what you do, especially if you’re cash based, because they’re tied to their money, so it makes you a better practitioner, I think, because you’re held accountable a little more. It gets a little sloppy, I think, when insurances, you know, the people think they’re paying $20, and that’s all they think you’re worth. Joe: Great, great point. That’s an excellent, excellent point. I might use that as a tag line on this episode, that they think you’re only worth $20, they pay for their co-pay. That’s a great point. Coming back to the money aspect of it, the average practitioner has a difficult time asking for money. Do you find it easier asking for money because you’re not related to physical therapy at first, and you’re related more to ancillary services like yoga, or wellness? Is it easier for you to ask for money from the patient? And is it easier for the patient to part with their money when they don’t think it’s insurance based? Lisa: Well, you know what, originally, it was my original studio, I thought that, I thought I had to make it this big yoga sort of thing, and I happened to be a physical therapist, and I went that route. But I really, again, having stopped and then coming back, I actually do advertise myself as an integrated physical therapist, as a doctor of physical therapy. My main modality being the use of yoga, and lifestyle medicine, yoga being the framework for the lifestyle medicine. So, I don’t necessarily, I think they come because it’s different than traditional. But I think that they come to me because they’re hearing in the media yoga’s helpful for this or this or that, or that perspective of treating the whole person, and they like that. And advertising that, but they are coming to me as, they’re in pain, or whatnot. They’re not coming necessarily for a workout, or just to go to yoga class or an aesthetic type of thing. So originally I did, but now I think it’s important to publicize yourself as that licensed healthcare provider, but you just do it a different way, and now I’m just, I see people asking for a lot of money, and asking for money for . . . my competition, I have people who ask for more than I do, just to do a yoga class. Just from a 200 hour yoga thing, or personal trainers charging . . . I don’t rate my prices in this range, either. I mean, that’s another thing. You have to know your market, and what you’re really targeting for. I’d like people to buy a five pack of private, and I priced it similar to maybe what I’d get after all the hubbub of insurance reimbursement after all of that, and the overhead and this and that, I’m in that ball park. Not the number I put up on there, because I know I’m only going to get half. And I think that’s important, too. People getting so stuck, well, insurance I can charge $200 for the session. You’re not getting $200 out of that session. By the time you pay the biller, and the time, and your efforts, three days later and you’re out money. You’re not. You’re getting $75, or $85 so if you just charge that and just bypass all of that, and see them one or two times a week, and make . . . I charge for my time now, not necessarily for my billing codes. I do give them an itemized bill with what would be covered under that, and not everything is covered. And they know that. But if there is a wellness thing, or just a general that I don’t think necessarily restorative rehab that would be covered, then they’re just coming to me for that. But there’s a lot of wellness in our practices, so, again, there’s a lot you can bill for when you stop thinking about what insurance will pay for. There’s a lot you can bill for under your licensure. Joe: I mean, that is a challenge for a lot of practitioners out there. So used to the fact that they’re in delved to that insurance behavior of, we can only bill these certain codes, and we can only do so many treatments. When in reality, when you don’t deal with insurance companies, you can offer the world to the patient to get that patient better. So, I mean, what would have taken six weeks would now only take maybe three weeks, because now as Lisa said, you’re spending, you’re basically charging for your time, you’re no longer charging for treatment codes. Very different way to look at things. 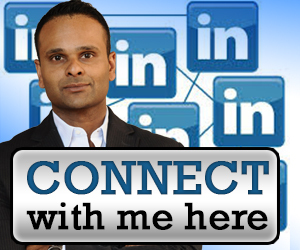 Also, another great topic that you brought up was that you are targeting a certain niche. And obviously for yoga and everyone’s going to say, obviously, for yoga you have to target a certain niche. I bring it back to this, because you know your demographics very well, and we spoke before about this. I think you described it to me before that you know when women are in their 20s, they’re not so keen on coming to physical therapy. But as soon as they, or your style of treatment. But as soon as they are pregnant, that’s when they start discovering the whole body matters, and all the wellness aspects associated with. Let’s discuss a little bit more on that, how did you come about that? How did you discover, hey, this is my niche right here. How did you figure that out the first time? Lisa: Yeah, I always had an interest, obviously being a woman, and even doing athletic training, there’s such a difference with the female athlete versus the male, in terms of different things you have to think about, hormonal influences into injury, and things like that. So, I had that interest in how medicine was a little bit different, so should be a little bit differently applied, the science should be a little differently applied to women, and the changes. And as I got more and more, again, it was through going through my own pregnancies and things like that, and things that happened with my own recovery, that I started noticing that there was a really underrepresented population of people post-partum that are basically ignored. There’s no care payouts for post-partum. And I wanted to work with women’s whole health, but I really wanted to . . . again, you’re trying to make your little niche on doing something different. And obviously pregnancy is someplace, like you said, that I had mentioned, is a place people start thinking about, ooh, okay, if I don’t feel like doing this about me, I have do this for the baby. And start getting that. And I really wanted to work with post-partum, but the problem is, once they have the baby, if they weren’t thinking of that, or taking time for themselves, working in a holistic model, that usually isn’t the time. They feel overwhelmed, and then you don’t see them. I get them in orthopedically with bad backs and whatnot. When did your back pain start? After my third pregnancy, or such and such. And nobody saw the connection. So that’s really where I zoned into. But then that became fertility. And that became recovery after C- section. And then those babies had needs, and I had a kid’s yoga class for three year olds, they loved the relaxation. I mean, this is a crazy, crazy world. And the mom’s wanted something for their ADHD diagnosed kids, and things like that. So it’s grown now as a family, I get the husbands from that sort of thing, but that’s my target still, because I think main consumers. And then they remain as consumers for healthcare as a family. And that way we get the kids. I really had a secondary set sort of thing for getting the kids, and not just the kids that are in services, per say, of physical therapy. Traditionally they’re involved. But all these kids, they’re being sort of ignored, obesity kids, the kids who are a little uncoordinated, highly stressed. It’s amazing out there to see my kids classes, with the kids classes, it’s just amazing. Joe: I mean, obviously, you have a passion for this, and that drove you to really dive in deep in this, and really push this forward. And that’s amazing, and there’s a lot of entrepreneurs in the beginning, especially medical entrepreneurs, they don’t know exactly what that passion is. Obviously their passion is always helping people, but you have narrowed it down amazingly, and that’s one thing I want to let our listeners know that, that passion really helps in pushing your business forward. But, let’s discuss something that you brought up before, your mindset. How do you think mindset plays a role in your practice, and making it progress and move forward? Lisa: You mean for myself, or for my clients? Joe: For yourself. For yourself, an as entrepreneur, how your mindset has changed. Lisa: Yeah, I mean, again originally, you’re wanting the healthcare provider, someone, I want to help, I want to heal the world, and then you start realizing, oh my God, I’m like my worst patient. I’m injured in process, maybe not doing your own self care skills, and that’s kind of why I went to yoga, and the discipline of that and trying to, because it is more of a lifestyle medicine, kind of your perspective. It sort of sets your mindset a little bit in how you’re treating, and making your own boundaries. So I think that, again, I give from what I have. And that’s basically what I expect for my clients, and so I offer them being able to be care providers again, being with women, the thought process of them having to care for everybody before themselves. So I think my own journey and my own passion, it helps me to sit there at 3:00 in the morning, maybe, because my kid was keeping me up, and I’ve still got to get the webpage set. Or even decided what the revenue stream I’m going to set up so I can give somebody else a job just to delegate. It helps me create my boundaries a little bit better, my mindset. And also because I know that I’m doing this, and I’m getting paid for it. I’m asking for money, it’s in exchange, I’m exchanging all of my knowledge, all of my continuing ed, I’ve had to do thousands of hours of continuing ed, I went on to get my doctorate after my physical therapy degree. I didn’t have to, we don’t have to, I’ve been practicing for almost 20 years, I didn’t have to do it. I’m going to school, I have a very good yoga teacher. He’s one of the top master teachers in American, John [Demetra], and I’ve done this work, and so I deserve to get paid, but I deserve not to price gouge. All of that mindset helps me be a good entrepreneur, and good business owner, a good employer, a good therapist, so that obviously keeps people coming back. They feel that. So it’s giving off that vibe. They feel when you feel overworked, you’re complaining about how healthcare is, when you offer no solution, this is very depressing to somebody injured and sitting on your table. Joe: Absolutely. And I mentioned this to a lot of people that I’ve worked with. Stop complaining about healthcare, and start making a difference. Let’s not talk about the problems, but let’s figure out ways to solve it. 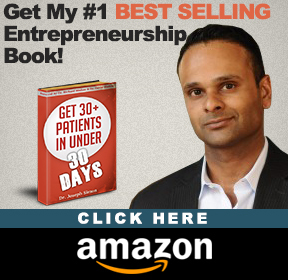 Even one person can make a difference, and I think what you and a lot of others that I’ve interviewed and spoke to as medical entrepreneurs, you’re making that difference. I see the change coming slowly, but everyone has the same message, and they feel like it’s time to take it in their own hands, and help. And as professionals, healthcare professionals, we want to help. That’s what we’re basically trained to do. So, I see that thoroughly come through in everything that everyone says. Obviously, if anyone looks at Lisa’s page, you will see that she has so many letters behind her name, so many hours of training, that I do not even know what some of that meant, but when she explained it to me, I said, oh my God, you are a Jedi out of yoga instructors, so it’s amazing stuff. And she has a continuing ed course, or a course that you do teach, let’s talk about that more, Lisa. Let’s talk about what you’re teaching. Lisa: Yeah, I’m kind of moving into, my personal website is omhealing.net, and that came through sort of starting to do some more of, extending after they were out of their physical pain, or out of their stressed lifestyle, it’s sort getting that [invaginated] into their lifestyle, and one of my platforms is heal the healer, and that starts as a four week program for healthcare providers to sort of help themselves, maybe get into a yoga practice of their own or whatnot, and start learning about the sciences and how they can use it in their practice, in their particular practice. So it turns into a six month to one year mentorship. They have up to a year to finish it. But there’s an online program, and one on one work that I do like that, trying to, basically, I’m moving into guiding the guides, because I realized I can help a lot more people if I make more people like me in their approach, than if I was just trying to treat the handful of people that might find me, and see me. And also in my time, I don’t want work 18 hours days seeing patients. So I have that, and then I do train yoga teachers, I do their continuing ed, I train them in continuing ed, obviously with our background in anatomy and physiology getting a little bit more than maybe what they’d get in a basic 200 hour program. I have a 200 hour yoga alliance program that we do, but I’m moving from being a one on one person, to sort of some more online programming. I have an online studio with [inaudible 24:20].com where I’m doing some one on one as well as small group specialized training such as breathing for chronic pain, so it’s really is integrative. I’m really like a catalyst. I’m a bridge builder between the two, I’m not one versus one side, I’m not all like holistic, don’t even go to a doctor whatever, at all, I think we all need to be working together in this. It’s full spectrum, and I think there’s a lot of opportunity for us as physical therapists to be healthcare educators, both to other colleagues, not even physical therapists, but I spend a lot of my time with physicians, nurses, and whatnot, because they don’t have that background we have. So, and it can help them to help themselves, and also help their patients, and also for referrals. They don’t know. They know us as that picture of somebody walking somebody in the [inaudible 25:09] bars. And they definitely don’t know about the yoga, they just send them to whatever XYZ yoga studio, and there’s so much variance, because the registry is just a registry. It’s not even like a licensure or anything like that in this country. So, it’s important to go to something safe and something effective. Joe: Absolutely. And is that certification program up and running yet? Or is it in the works? Lisa: For the mentorship, mentorship stuff is one on one stuff that’s running, and that’s just through me making, doing it as needed, and then customizing it to what they need. I do things locally right now in Charlotte in terms of group work, and hopefully over the . . . that’s my plan for 2014 is to start launching some things that people can do from a distance a little bit, working with some people. I have some connections over in New York City, and getting into South Carolina with different groups right now, so I’m in Charlotte, North Carolina right now. But that’s where we’re moving. Again, this has been a continuum, I think, since 2011 that’s moved pretty fast. And just changing my treatment model a little bit more as an educator, as well as doing the one on one here and there, doing seminars and things like that in the future. Joe: And as an entrepreneur, that’s what you constantly do. You’re constantly changing, you’re constantly shifting, and you’re growing. And I think it’s an amazing job. Obviously, I think you’re on the right path, I mean, you’re doing amazing stuff. That certification program, I think it will go national, because that’s . . . I see, you have the energy for it, and you will definitely do it. It’s probably one of the best things that I’ve taught a lot of my consulting clients, is if we can get to the point of having a certification program, A) it is a great income revenue that comes in, it’s amazing. But again, you’re teaching all your knowledge and your expertise to somebody else, another practitioner, that could learn how to make money from that, and they will be more than happy to learn that. And they can say, hey, look, this is something that I find value in, I can help more people with this, and you get a chance to spread your wings much further than you can do besides Charlotte, North Carolina, right? So it can go globally. I mean, with the Internet these days, I mean, you’ll be surprised sometimes. I get, you’ll get requests from the furthest places you would ever imagine, and you’ll be shocked. Like, really? But it is great, as an entrepreneur, I think that is when you feel like, hey, I’m making the change. And that’s what we all need to feel. Lisa: And I think that was always my intention, when I developed that way doing yoga, it was not just a different yoga style, it actually was set up as a system to teach yoga, and to bring in that individuality, because I think all along, even though I was starting with just working with people who just wanted to be yoga teachers on the mat, I was giving them something to be able to work with, a broader environment. And now, again, being a little ahead of the curve, now yoga therapy is becoming this big thing, and it’s finally sort of catching up with being a little more therapeutic and having to know a little bit more medical background and whatnot. So that you can deal with it, and so, like you said, it gives me another way of using my education as a physical therapist, not just touching people. Lisa: I think that ‘s important for healthcare providers to realize you have a lot to offer besides just the clinical skills or teaching future, being [inaudible 28:33] colleges. There’s a lot of education that, especially physical therapists, I hope that they step up to do in the public health sector. Joe: Absolutely. We are all hoping for that to happen, where we’re hoping for that change to take place. And like I said in the beginning, I see that change taking place, with more of the medical entrepreneurs that I speak to and as always, they’re the ones on the forefront that are making the changes. And obviously, with your certification program and online stuff, I have a lot of connections for that. I would be more than happy to share that with you offline. I will help you out any way I can. And that’s what I like doing, I like to, you help out as many people as you can, and the world gives back. And that’s something that I share with my clients, and share with the audience, just give to the world, it’ll give you back. So, that’s something that really, really works. But, Lisa, thank you so much for getting back on for a second time, and I appreciate it so much, you have so much to share, and I know this interview will get a whole lot of hits, because the first one already did. Lisa: All right. Thank you very much. Joe: So, once again, I think everyone’s looking forward to this one as well. 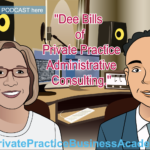 Thank you again, and everyone, this is Dr. Joe Simon from the Private Practice Business Academy, please, if you have any more information, leave a comment, or you can email Lisa through her LinkedIn page as well. And have a great day, guys.